After months of research and work we are finally ready to launch our merchandise shop on the world! 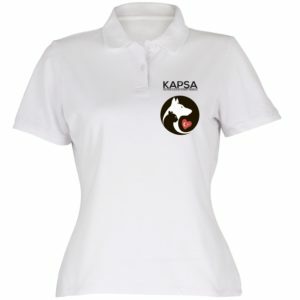 KAPSA branded clothing and accessories has been something we have wanted to do for quite some time, but it’s always been prohibitively expensive to buy a lot of items up front to sell on. Instead, we have decided to dip our paws in the water by using a fulfilment company. They are a well known UK company in this field and will take your orders, print or embroider them and send them straight to your home. All the profits, after expenses, are paid straight to KAPSA to help us fund our work with the street animals. They also deal with any issues with orders, returns, and so on, so the whole system frees up our volunteers time to do other things. This is a totally new avenue for us, one we are hoping our supporters will love. The current range is limited to clothing and bags, but we already have future plans for other items, as well as some other fun designs too, so watch this space for more news on that later in the year. All the items we have chosen come in a range of colours and sizes, printed and embroidered options, and a range of options on the style/size of logo used, so you should find something to suit your style and taste. Obviously this is a brand new venture, so a few bits of info worth knowing about. 2 – The company has a massive warehouse and good stock levels, but even they will, from time to time, run out of a specific colour in a specific size. If the one you want is unavailable [the size will be greyed out in the dropdown list], please give it a few days to come back in stock. 3 – The company will deal with any problems you have with deliveries, orders etc, of which hopefully there wont be any, but we would also like to hear your feedback, so please do contact us and let us know what you think of the products, the range available, and anything else you would like to tell us about your shopping experience. It’s all important information for us as we move forward with this idea. However there is a BUT! A big BUT! Please, please send your comments via email – either using the contact form here on the website, or the contact link on the shop itself. You will see on that you have an option to contact us, or the company using the same form. These two contact methods will allow us to easily keep all your comments together and plan for the future. So, with that, all that remains is for us to thank you once again for your invaluable support and to wish you happy shopping. We look forward to seeing photos of you all wearing your lovely new gear appearing on our Facebook groups soon.